Hey Guys! Today I have a few polishes from a new Indie brand to share with you. Three lovely thermals from AH-Ha Nail Lacquer. Check these beauties out! Crushed Berries is a lavender purple(cool) to baby blue(warm) scattered holo thermal polish. I applied three thin coats to achieve full opacity and sealed it with a glossy top coat. Formula was good and applied smoothly. Transitioned very well. This is my favorite of the three. 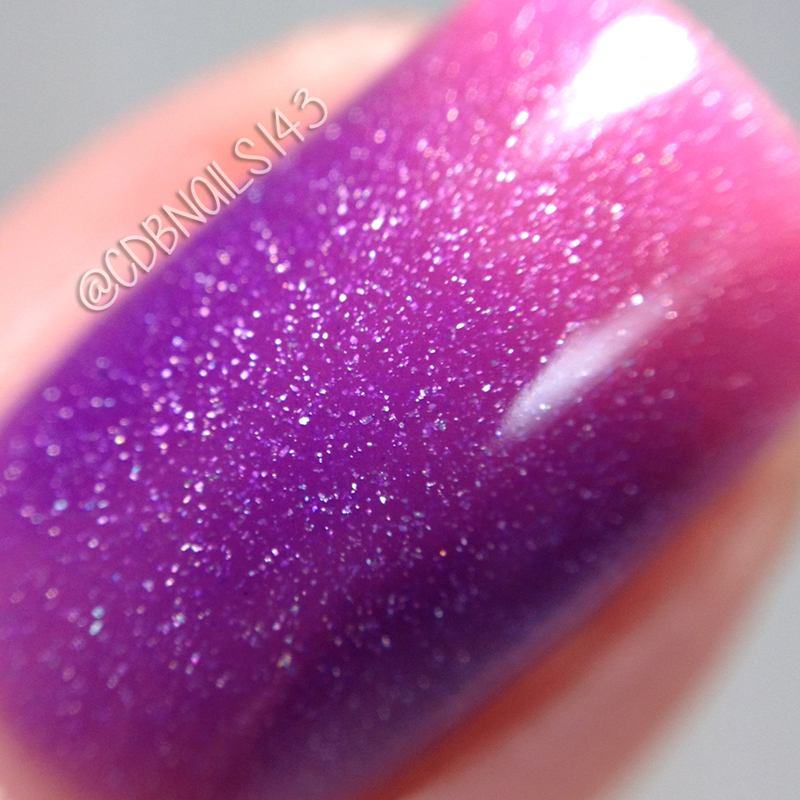 Powerful Punch is a purple(cool) to pink(warm) scattered holo thermal polish. I applied three thin coats to achieve full opacity and sealed it with a glossy top coat. Formula was smooth and applied well. Transitioned very well. Sandy Peach is an blood orange(cool) to yellow(warm) scattered holo thermal polish. I applied three thin coats to achieve full opacity and sealed it with a glossy top coat. Again, smooth formula and great transition. All three of these lovelies are available now for $7 each. My personal favorite is the purple to blue. Which do you like best? Please check out the links below for more info! Beautiful colors! Loved Powerful Punch and Sandy Peach the most!